Josh is a writer and poet working with words. His recent works have focused on the relationship between the depth of meditation practice and the emergence of creative thought. Josh lives and works in Melbourne, where he has co-founded A—SPACE, Australia’s first multi-disciplinary meditation studio. Josh’s words have been featured in Oyster Magazine and Condition World. 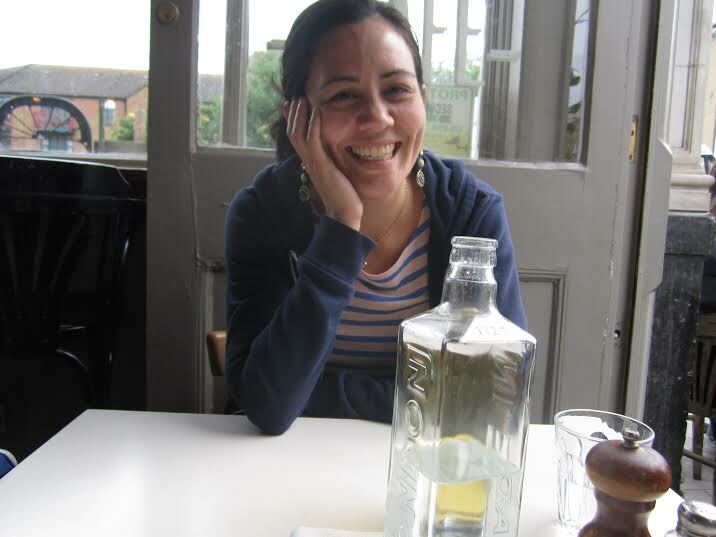 Aditi Machado is a poet and translator. Her books include Some Beheadings (Nightboat, 2017; recipient of The Believer Poetry Award 2018) and a translation, from the French, of Farid Tali’s Prosopopoeia (Action, 2016). She is also the author of the chapbooks Prologue | Emporium (Garden-Door, 2018), This Touch (Belladonna*, 2018), Route: Marienbad (Further Other Book Works, 2016), and The Robing of the Bride (Dzanc, 2013). Her writing is engaged with landscape, haptic imagery, historical prosodies, and translation. Originally from Bangalore, India, presently she lives in Saint Louis, USA, where she is the Visiting Poet-in-Residence at Washington University. During her residency at the VAR program, she plans to work on her second poetry manuscript, Emporium, which reimagines the silk route as a twenty-first-century journey of eroded market desires. She also hopes to rejuvenate previous commitments to thinking with the landscape here on the American west coast, to which she has never been until now. The paintings I create are inspired from memories. I am possessed by the desire to collect and preserve interactions. When I connect with a person or place a flood of color pours in my mind and I use that color to translate the moment. I have found that making work about the past can, at times, distract me from being present. I have relied on the concept that in order to understand a place I must leave it so that it can become a memory. This month I am working to undo that idea. I am practicing being completely in the moment by painting the landscape from my window as the light changes daily. Some projects I am working on will still rely on memory and ultimately, I will be able to compare meditations of the present to meditations of the past. Shannon May Powell’s photographic work explores intimacy and sexuality through a gender sensitive lens that aims to challenge and abstract concepts of the body. Having graduated with honours at RMIT University in Melbourne, with a major in creative writing and minor in philosophy, her visual art is an aesthetic expression of prose and philosophy. Shannon has exhibited in both solo and group shows nationally and internationally, such as Berlin Feminist film week (DE), New York Art Book Fair (US), The Honeymoon Sweet (AUS), The Centre for Contemporary Photography (AUS), and Collingwood Arts Precinct (AUS). She has been widely published by national and international publications such as INDIE magazine, Ain’t Bad Contemporary Photographic Journal, Whitelies magazine and i-D magazine where she contributes regular articles and photographic material. 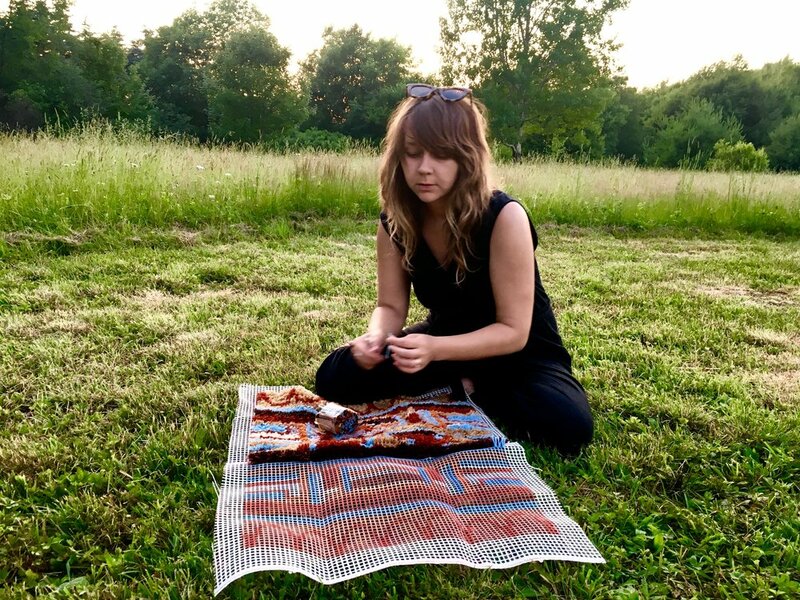 In 2015, she published her first book after completing a residency at Torna Gallery and Bookshop in Istanbul, and recently returned to the Varda artist residency where she will be working on new content for a textile and photographic exhibition in 2019. She also hopes to take time to explore meditative rituals, record her dreams and begin to experiment with moving image. Natalie Rogers is a writer working on a novel and a series of personal essays. Her recent works have focused on the ways people heal from trauma.Natalie lives and works in Denver, where she is a PhD candidate in English and Creative Writing. She is a recipient of a AHSS Doctoral Dissertation Fellowship from the University of Denver. Her writing has previously appeared online at Narrative and Juked, and an excerpt of her novel is forthcoming from Action, Spectacle later this fall. During her residency at the VAR program, Natalie plans to complete an essay describing how her grandparents’ mistakes continue to haunt her family. Her latest works in drawing, painting, and video explore the notion of harmony in connecting contemporary art form with ancient tradition. Through the use of surreal imaginary her work captures attention and triggers contemplation and exploration. Spirituality, nature and the feminine are at the center of her work. During her residency time at the VAR program, María Torres will develop a series of images inspired by the time spent with the nomadic cultures of Mongolia, where their spiritual beliefs and down to earth forms of art had a significant impact on her view of art making and crafts, placing creativity as a source for ritual. María Torres has exhibited at the Contemporary Museum of Hohhot in China, UMA Gallery in UB Mongolia, Agora Collective in Berlin and Matadero Madrid, between others. Bronte Mae Webster is an artist working predominantly with the medium of paint. Her most recent works propose speculative sites that are imbued with spatial paradoxes and psychological tensions. Fragmented and rupturing, her paintings seek to repurpose and re-contextualize otherwise disparate elements into new compositions. Drawing upon art historical imagery, dynamic architectures, found material, biomorphic forms, and a visceral personal iconography, her works are both energetic and intimate. Bronte lives and works in Melbourne, Australia, where she received a Bachelor of Fine Art at RMIT University, 2017. She has exhibited work at the Crowther Contemporary, Soma Gallery, Arts Inc. Gallery and has had a solo show at First Site Gallery. Bronte has been featured in and on the cover of Fead Magazine. During her residency at the VAR program, Bronte plans on making a new body of work that will evolve from her observations and experiences of a unique international setting. Becoming almost archaeological in her approach, she will intuitively uncover and collect differing visual languages of the every day in an effort to unify them within the pictorial space. Sam O'Farrell is an artist working predominantly with ceramics. Her most recent works are a humorous approach to the hobbyist culture of craft. Pointedly and playfully referencing ceramic archetypes, her work mediates objects and images by using loose sculptural forms merged with found imagery that gestures toward magic and folklore. Sam O'Farrell lives and works in Melbourne, Australia, where she received her BFA Honours at RMIT University. She has been a recipient of the Trudie Alfred Bequest by the Australian Ceramics Association, a finalist for the Tom Bass Prize. Sam O'Farrell has exhibited work in LON Gallery, Junior Space, Long Division, Neon Parlour and Guild of Objects. Sam O'Farrell has been featured in The Journal of Australian Ceramics. Ladies of Leisure and Vampir Magazine. During her time at the residency, Sam will be engaged in a new body of work that explores sculptural storytelling which will be partly developed in the houseboat and completed at Mill Valley Pottery studio. Sam and Varda Artists Residency would like to thank Mill Valley Pottery Studio for their generous support. Aigerim Akenova is a contemporary designer working with fashion (AIKEN brand), textiles and concept design development (TEXSPIRE consultancy). Her recent works have focused on cultural identity. Her fashion brand AIKEN translates the nomadic spirit of discovery into uniquely refined designs that celebrate the infinite power of individuality and lifelong journey. Always bold, memorable, and intuitive, AIKEN expresses a keen technical appreciation toward textures, color, and form. Aigerim lives and works in Astana, Kazakhstan, where she has recently accomplished a globally-scaled project for International Expo-2017 by creating and developing the core concept for the National Pavilion of Kazakhstan. Aigerim has graduated from Istituto Europeo di Design Moda Lab Milano for Fashion & Textile Design (2006-2009), has got an exchange student scholarship to study at FIDM, LA (2008) and has been chosen to showcase her thesis collection on the runway in Milan. She is a recipient of a grant from “Commune di Milano” for her MA degree at “New tech.style design” which she received in 2010 in Milan, Italy. Aigerim has made several runways at MBFW Almaty (RUNWAY SS17 / RUNWAY FW17/18) (Mercedes-Benz Fashion Week) and MBFW Astana with her brand AIKEN. During her residency at the VAR program, Aigerim plans to research sustainable solutions in textile & fashion and develop 1st seasonless womenswear collection by AIKEN, breaking the rules of the industry that encourage fast & unconscious fashion. In her concept design, she explores feminine identity and aims to empower women. Greta Van der Star is an Auckland based photographer working with film and 8mm motion film. Her focus is to contribute to and support a female directed representation of women in fashion and media. Greta trained in film photographer in New Zealand, receiving a bachelor of Design and Media Arts at Unitec. In 2015 Greta featured in a group show curated by Yasmine Ganly of AnyoneGirl, in collaboration with Local Creative in New York. Greta's time in the residency will be used to teach herself sewing techniques that have been passed through her family. She will be combining these new skills with photographed images printed onto silk and cotton voile, cut and reconstructed to reference family heirlooms, and memory. Printing on fabric gives the images a softer and more emotional quality, and blankets represent a deep sentiment, demonstrating hours spent threading together pieces of fabric to gift a loved one. The images reconstructed represent memories, a souvenir from a moment, reflected upon, often jumbled in the brain, some moments more vivid than others. The final output will be a small blanket or hanging, hand sewn with silk thread, from an image printed, and reprinted onto cotton voile and silk georgette. A series of images will accompany the blanket to demonstrate the blanket in use.